Yes, it’s true! There will be a sequel to The Language of Spells. It’s called The Secrets of Ghosts and it comes out next month! 25th February, to be precise. My lovely publisher has released the cover and title and it’s up for pre-order on Amazon. Meep! I’m incredibly excited and grateful, but it also feels a little surreal. I’m still working on revisions and there’s lots I want to do to make the book as good as it can be. I’m going to take several deep breaths and remind myself that it’ll all come together, but if I’m quiet during this month, you’ll know why. I love the cover and think it works really well with the first book. Hope you guys like it, too! On her twenty-first birthday Katie Harper has only one wish: to become a real Harper woman. 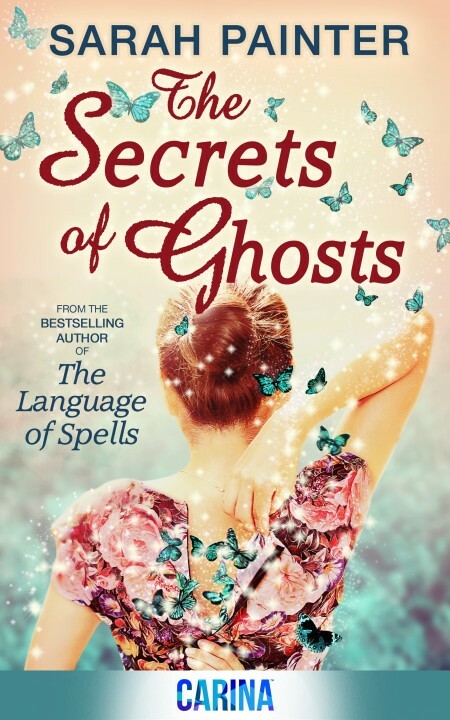 Mystical powers are passed down her family generation after generation – some even call them witches – yet every spell Katie attempts goes disastrously wrong. When her magic does appear, it’s in a form nobody expected and suddenly Katie is thrown into a dangerous new world with shadowy consequences. For the realm of the deceased is not as peaceful as she once thought. The dead are buried with their secrets and only Katie can help the ghosts of the past finally find peace. This week’s Friday Five is going to be (more than usually) self-obsessed. Brace yourselves! 1. I have an agent! 2. I have a wonderful agent! 4. Right. Sorry about that… As you were.